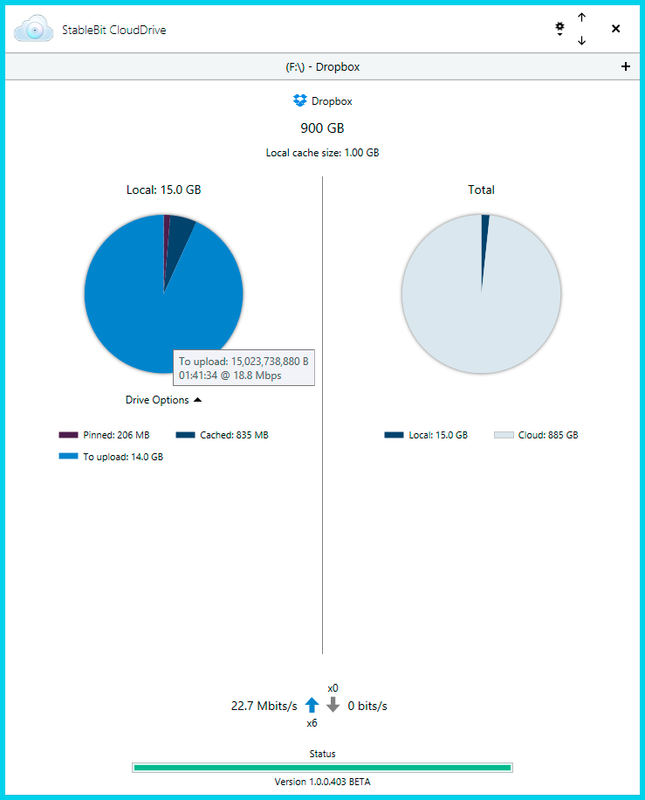 The second public BETA of StableBit CloudDrive is now available for download. 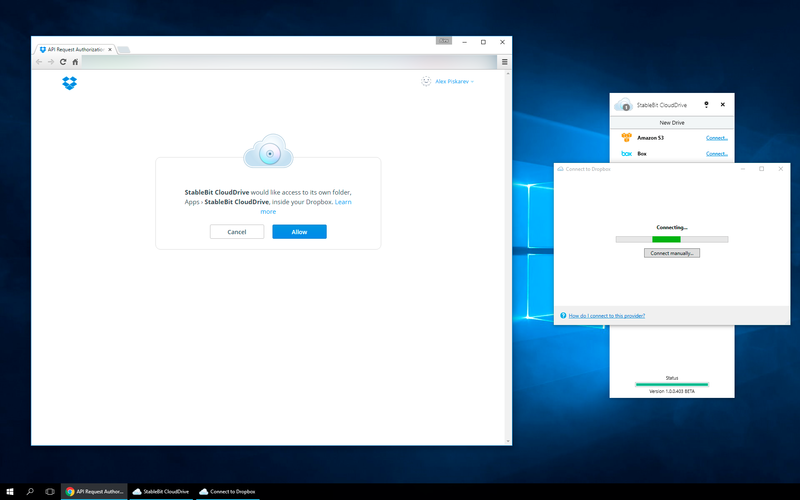 It includes a lot of bug fixes, official Windows 10 support, and more. Anyone using the first BETA (or any of our internal BETAs) will see an automatic update notification within 24 hours. First and foremost, I should say that this BETA is focused almost entirely on improving the reliability of StableBit CloudDrive and fixing all of the issues that were discovered with the last BETA after it was made public. Some of those issues were fairly serious and some of them were fairly complicated to resolve, but we did resolve them in a comprehensive and meaningful way. I do thank everyone for testing the last BETA and reporting issues. Many of your reports did turn into direct bug fixes. While most of the changes in this build were focused on fixing bugs, some UI tweaks were made as well. 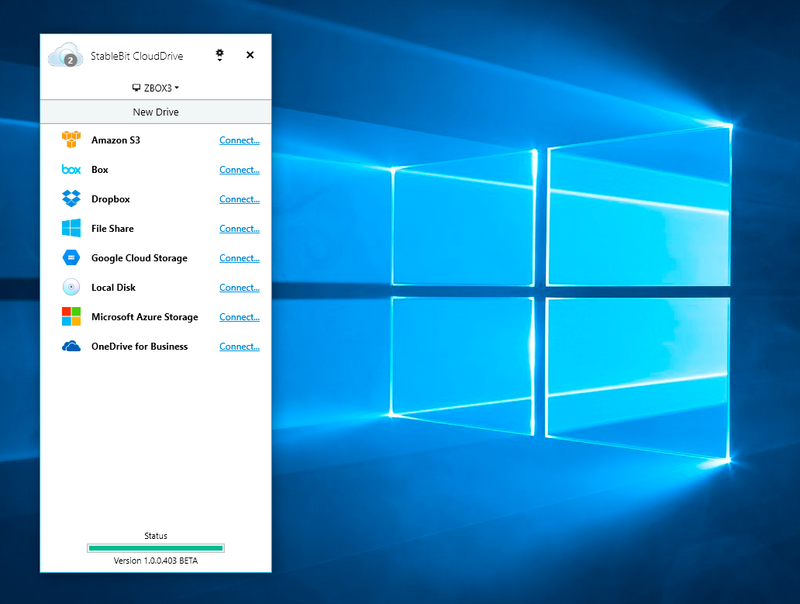 Windows 10 support is an important part of this build and in terms of UI, the StableBit CloudDrive window will now be drawn properly on Windows 10. It will also animate properly when minimized, maximized, and snapped to the edge of the screen. 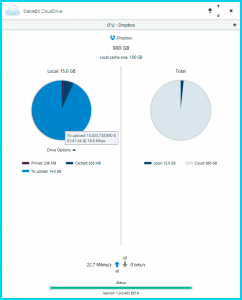 Additionally, if you hover over the “To upload” text in the local pie chart you will get an estimate of how long it will take to upload everything, given the current upload speed. User feedback was tweaked as well. The amount of superfluous user feedback should now be minimized, and some user feedback messages were tweaked for clarity. The OAuth 2.0 code was completely rewritten in order to provider a more consistent, easier to use, and a more reliable experience. This is a comprehensive rewrite of all the code, from the user interface, to the back-end that manages OAuth 2.0, to the storage code that stores your encrypted credentials on your computer. 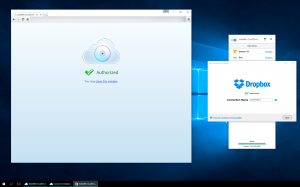 The new system is backwards compatible with the old system, except for Google Cloud Storage. This is due to the fact that, in the first BETA, Google Cloud Storage used the Google SDK to store the OAuth 2.0 data. In the latest BETA, we centralized the OAuth 2.0 code, and we are now handing that for all of the providers that utilize OAuth 2.0. This means that if you have a cloud drive utilizing Google Cloud Storage and you upgrade to the latest BETA you will be asked to reauthorize your drive. Don’t worry, this is fairly simple and you will be guided through the process. 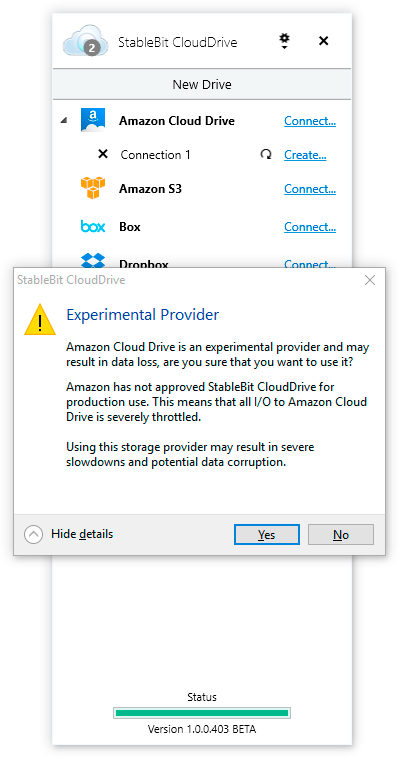 Unfortunately, I am sad to announce that (for now) the Amazon Cloud Drive provider is no longer supported for production use with our product. This is something that we’ve been going back and forth with Amazon about for a while. So we do have a dialog open with the Amazon Cloud Drive team regarding this issue, and we are trying to find a mutually agreeable solution. I am very hopeful that we can resolve this before the 1.0 release final. The problem comes from the fact that StableBit CloudDrive scales really well… Given sufficient bandwidth, it will saturate your uplink until the weakest link in the chain fails. From the emails that we’ve received from Amazon, this seems to be causing server load issues for Amazon. 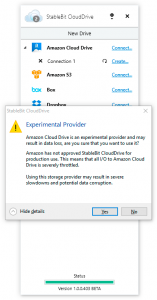 Because of this, for now, the Amazon Cloud Drive provider will be classified as an “Experimental Provider”. 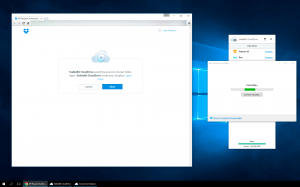 If you’re currently using the Amazon Cloud Drive provider, you should stop doing so, at least until we can reach some sort of agreement with the Amazon team on how we can best resolve this situation. Hopefully Amazon can come up with a comprehensive solution that will work for everyone. This entry was posted on Friday, October 30th, 2015 at 10:22 pm	and is filed under StableBit. You can follow any responses to this entry through the RSS 2.0 feed. You can leave a response, or trackback from your own site.